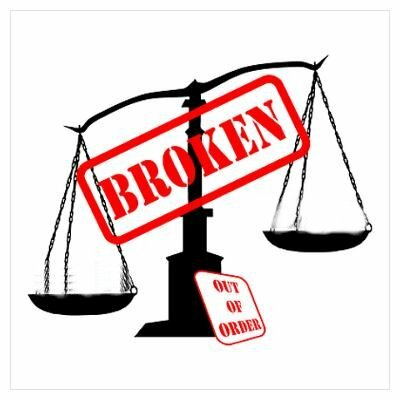 When speaking with my clients, I am the first to admit that family law attorneys (and in turn our clients) are part of a very broken system. I do admit that I have had the pleasure of working with extremely competent judges and courthouse personnel. However, a positive experience is no longer the norm. There simply aren’t enough judges. The courts are beyond overwhelmed and overworked. Judges are constantly being transferred and moved around. The case files are being thrown around like hot potatoes. I am currently representing a client who is on her seventh judge. Yes, SEVENTH. Worse yet, don’t assume judges are “experts”. Most judges appointed to the family court haven’t worked even one day as a family law attorney during their legal careers. They are learning family law for the first time when they pick up your file. Even if you are lucky enough to have the same judge survive the duration of your divorce matter, don’t assume he/she will remember the details of your case. You are essentially putting your life and your children’s lives in the hands of one (potentially inexperienced) judge who is pushing through thousands of other case files in addition to yours. Not only are the judges overwhelmed. All of the employees at the courthouse are too. It’s not rare for court documents to get lost at the courthouse, even if you deliver them in person. I wouldn't be surprised to hear that you called the courthouse half a dozen times, left messages, and didn’t get a call back. When you do get that call back, don’t be surprised to be transferred from person-to-person until your call “accidentally” gets disconnected. Speaking of waiting, don’t expect you’ll get a decision on an issue in your case by a judge anytime soon. Even though our Court Rules address the deadlines for filing certain paperwork with the understanding that a court date will be scheduled soon after – this isn’t necessarily the reality. For example, in one of our cases, motion papers were filed in early Fall 2016. We were in court for oral argument in December 2016. We are still waiting on a final decision from the judge – over a year later. For the last year, we have called the judge at least once a week. We have written letters. We are always promised a decision "soon". Our client patiently waits even though I find it unbearable and appalling. The Mercer County case of Kavadas v. Martinez has recently made headlines. In that case, the litigants and attorneys have waited over 500 days for the judge to rule on the hotly debated issue of the constitutionality of New Jersey’s suspension of driver’s licenses for parents in child support arrears. So, don't assume the “importance” of the issue brings a quicker conclusion. It’s also disturbing how, on occasion, a courthouse employee will misdirect a pro se litigant (a.k.a., a self-represented party, or a litigant without an attorney). Sometimes, courthouse employees will even give incorrect legal advice when they aren’t supposed to be giving legal advice period. Many of my clients were once self-represented litigants but lost all hope after being tossed around like ping pong balls at the courthouse. You’d be surprised how a litigant's needs will suddenly get addressed when an attorney intervenes. However, as described above, even the best attorneys in New Jersey can't overcome an overwhelmed system. Many attorneys are trying to change the unfortunate reality of our broken family court system in New Jersey. We aren't sitting by idly reaping the financial rewards. We are extremely frustrated. We have proposed changes to the Court Rules and policies. We work hard to bridge the gap between clients, lawyers and the judiciary. We appeal lazy, haphazard court decisions to the New Jersey Appellate Division (the higher reviewing court) to: (1) achieve just results for our clients; and (2) hold the trial courts accountable for mismanaged cases. I was one of the attorneys who represented the prevailing party in Ducey v. Ducey, a case published by the New Jersey Appellate Division. In Ducey, the trial judge rendered her divorce decision by summarizing the prominent points in a "Final Judgment of Divorce," which she sent to the attorneys seven (7) months after the trial had ended. Three (3) months after that, the judge sent a lengthy trial decision that was intended to explain how she reached the results in the Final Judgment of Divorce. There were several problems with this. First, so much time had passed and the family had essentially lived in uncertain turmoil without any direction or finality. Second, the Appellate Division concentrated on the fact that major financial provisions in the trial decision differed from that in the Final Judgment of Divorce and there was no explanation for this divergence. In the end, the Appellate Division reversed the trial judge's decision and remanded it back to the trial court. Realizing the poor management of this case, the Appellate Division referred the matter to the Conference of Family Presiding Judges to review and implement any policy provisions or training to avoid this from happening again. Even with such attempts to fix a broken system, the major changes we need aren't happening any time soon. In the meantime, if you are experiencing any family law issues, you should hire a creative attorney who can get you the same or even better results quicker than a judge would give you. I know it’s frustrating, but don’t take matters into your own hands without the composed and thoughtful advice of a strategic family law attorney. In the end, you may find that your feelings of revenge and anger dissipate. If not, there’s always karma. Authored by Melissa M. Ruvolo, Esq.